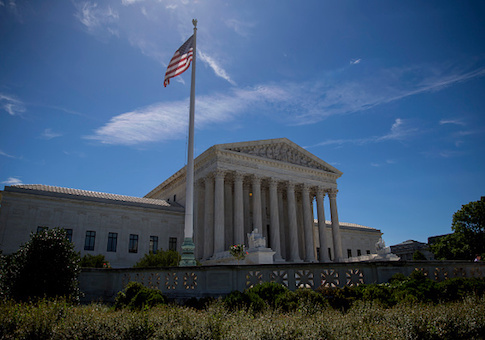 The Supreme Court of the United States declined to hear the appeal of a gun-rights case on Monday, leaving a lower court's decision which restored gun rights to those who had been convicted of certain nonviolent misdemeanor crimes. Binderup v. the U.S. Attorney General dealt with whether or not certain nonviolent misdemeanor offenses should result in a lifetime revocation of the offenders' Second Amendment rights. Daniel Binderup, who pleaded guilty to misdemeanor corruption of a minor for a consensual affair he engaged in with a 17-year-old girl in 1996, and Julio Suarez, who was convicted of a misdemeanor for carrying a gun in his car without a license, both lost their gun rights despite committing nonviolent misdemeanor crimes and never serving any time in jail. They filed separate cases contesting the relevant federal law, and their cases were eventually combined into one at the Third U.S. Circuit Court of Appeals in Pennsylvania. The court ruled in favor of the plaintiffs. On Monday, the Supreme Court rejected an appeal of the finding, leaving the lower court's ruling intact. "The petitions for writs of certiorari are denied," the Court said in its order. "Justice Ginsburg and Justice Sotomayor would grant the petitions for writs of certiorari." Neither Justice Ginsburg nor Justice Sotomayor expounded with a written dissent of the decision to deny the appeal. The Second Amendment Foundation, which backed Binderup and Suarez, praised the Court's decision. "While we were confident that our case would once again prevail before the Supreme Court, we’re delighted at the high court's decision that allows our victory in the Third Circuit to stand," Alan Gottlieb, the group's founder, said in a statement. "We established the principle that people who are convicted of certain misdemeanor crimes cannot be stripped of their fundamental right to keep and bear arms for life." Gottlieb said the case was important because Second Amendment rights are too essential to be restricted for life over nonviolent misdemeanor crimes like the ones involved in the case. "We cannot allow government to simply deny constitutionally delineated rights on such flimsy grounds," he said. This entry was posted in Issues and tagged 2nd Amendment, Guns. Bookmark the permalink.